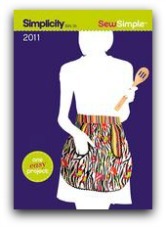 Check out free apron patterns, they are perfect for the beginner. This project will quickly build your sewing confidence. 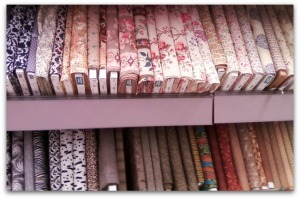 There is no need to run out and buy a pattern, all directions are here. The apron can be made as plain or as fancy as you want. Begin plain and then once you understand all the steps you can dress up the free apron patterns with embroidery, lace, ruffles and or pockets. Dressing these up can be fun and they make great gifts. Making aprons are wonderful projects for the beginner. As your experience grows you are able to take this same basic pattern and dress it up for great gifts. Just because your gift is inexpensive and easy to make, does not mean you are creating cheap aprons. Embroidered aprons make beautiful shower gifts for the new brides. You can add lace, pockets, rick rack and/or ruffles. Also personalized aprons are fun and easy to make for family and friends. Adding to this apron sewing pattern is easy. 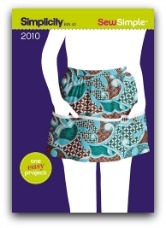 Sewing a tea towel into the waist band is a handy and frequently overlooked idea. You never have to hunt a towel to wipe your hands with this quick and easy addition. The advanced seamstress will be able to satisfy that creative whim by adding to the complexity of this pattern. 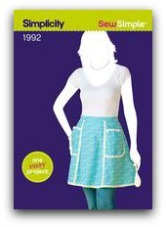 Apron patterns can include half aprons, bib aprons, smocks, pinafores, and cobbler aprons. 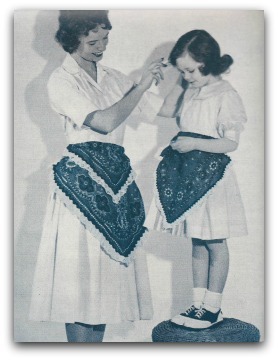 The easiest pattern for the beginner would be a half apron. Even this pattern can be a challenge though, if you add certain decorative elements like pockets, ruffles or by making it reversible. Either experienced or beginner, you will find a pattern for you here.